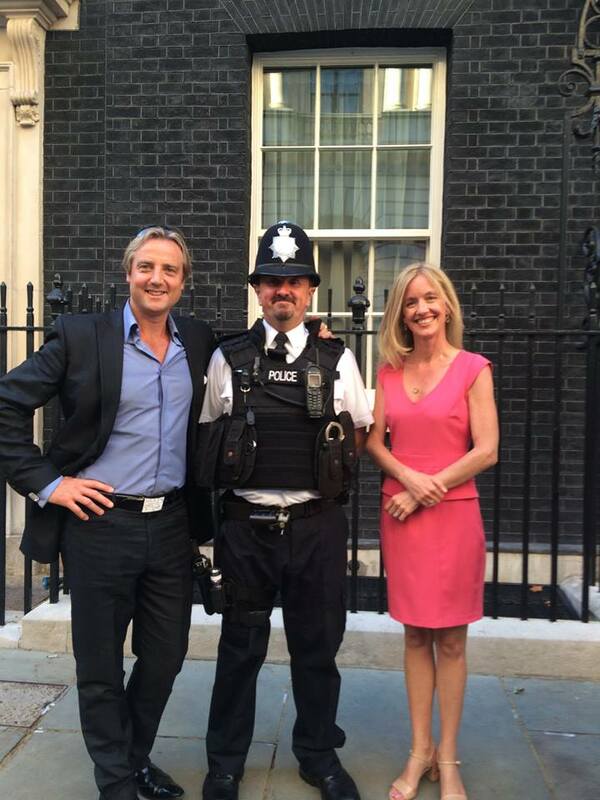 Incognito Artists CEO Geoff Sewell and his wife Simone Lanham took a break from running their successful entertainment agency when they had the pleasure of being invited to one of the most famous addresses in the world by the UK’s Prime Minister and his wife – No 10 Downing Street. What a treat! But most importantly, in aid of a charity very close to their heart. The Prime Minister, David Cameron, and his wife Samantha sadly lost their son Ivan due to a rare form of Epilepsy when he was only 6. They generously hosted a function at No 10 for SUDEP (Sudden Unexpected Death in Epilepsy), a charity which supports families bereaved by Epilepsy, and works to make change. The night launched the charity’s appeal for research into a sleep monitoring device that could improve prevention of SUDEP. Sadly Epilepsy claims at least 1150 lives in the UK every year and about 500 of these are sudden and unexpected.